Citrulline API. Global Orphan Pharmaceutical, LLC (GOP) announces the launch of Citrullis.com. Global Orphan Pharmaceutical, LLC™ (GOP) endeavors to identify niche pharmaceutical and dietary supplements and deliver them to critically ill patients and customers. GOP has established manufacturing and distribution partnerships which enables them to deliver their products exponentially faster than traditional pharmaceutical companies. GOP also provides opportunities through distributorship programs of product introductions into the US, EU, Brazilian and Asia-Pacific markets. GOP wishes to help you with your niche product or orphan drug development by expediting the raw material (Intermediates and API), clinical supplies, and commercial batch processes. GOP provides support through the identification of online, food chain, and drug store retailers wanting to stock high quality GMP standard products. As a result of today's quality conscious consumers, GOP feels compelled to provide the highest quality and purest products available. GOP ensures quality products through partnerships with manufacturers who already meet global certification standards from FDA, EDQM, TGA Certified, ISO 9001, ISO 9002, ISO 14000, QS, etc. GOP has team members in our manufacturer’s facilities conducting product validations and quality assurance at random. 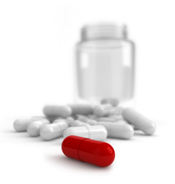 At GOP, we have streamlined and accelerated the response and production of personalized medicine. GOP has maintained a lean operation protocol to be highly competitive and be able to extend this competitiveness to our customers.